All the paint products listed below can be disposed of at a Household Hazardous Waste Facility in San Luis Obispo County. Additionally, all retail stores that sell paint in San Luis Obispo County will take back unwanted or leftover paint from the public and businesses for free. These retail stores accept up to 5 gallons per visit, except for Kelly Moore stores which will accept 20 gallons. Click on your community to find a business near you. Recycle your unwanted house paint, primer, stain, or varnish for free at a PaintCare drop-off location. Both latex and oil-based products are accepted. All locations accept up to five gallons per visit (some take more). 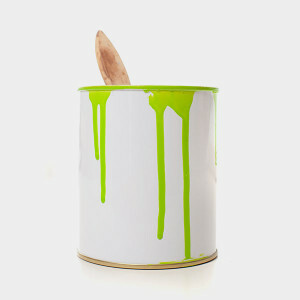 Paint containers should be five gallons in size or smaller and have original labels. No leaking, unlabeled, or empty containers. Spray paint is not accepted. For a list of products accepted for recycling or to find a drop-off location, visit PaintCare’s website.